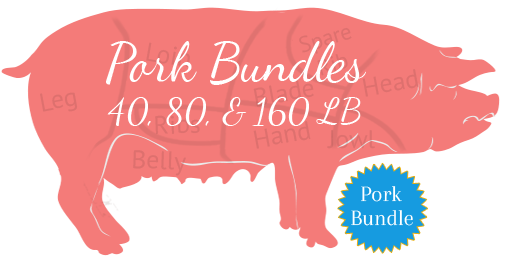 Pork Bundles, choose 40, 80 or 160 lbs of Pastured Pork. Paleo Friendly. *Ground pork and sausage are 1# bulk packages. *All meat is nitrite free. *Because the weights of the cuts may vary, you may get slightly more or less of one cut to meet your total weight.